Two of my works were displayed at the 11th ARC Exhibition (2-22 september 2010) near to the Heroes’ Square in Budapest. I got in contact with the marketing department of HVG Online Group in connection with their 2009 autumn slogan contest. I participated in the brainstorming of the planned motto. Check out this COLLECTION of my best comments made on last year’s Addict‘s Advertisement Riddle. I was entrusted by the Raygun Agency with presenting the shops found in the shopping malls. My final writings can be seen on the site of Park Center. 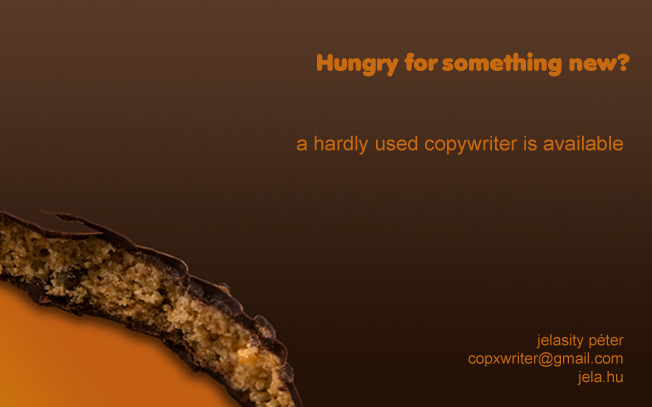 won the competition, and as a result it became the official headline of the blog. Thanks for the supporting votes and comments! My slogan was also mentioned in the most popular Hungarian TV-show called “Esti Showder” (“Night Talk Show”) by the host Sándor Fábry on 16th April in 2009. 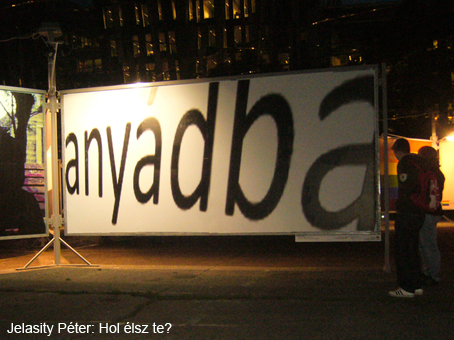 Maybe, you remember the 9th ARC exhibition organised at the end of summer in 2008 that was built around the theme: “Where is felicity these days?” My work “Google it” was accepted and exhibited near to the Heroes’ Square in Budapest. Others were also inspired by the popular search engine, and these works based on the same idea were shown in a shared poster.